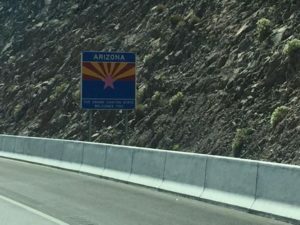 Off to Arizona – Live MoHo! 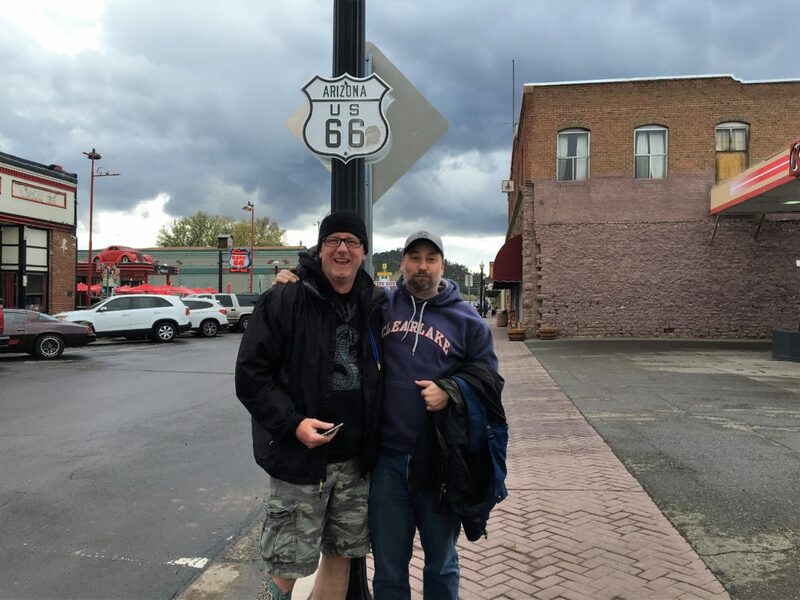 We drove from Vegas to Williams Arizona today. It was a decent drive, just under 4 hours. It was fun because Sean and Sylvia, who we metup with in Vegas, caravan’d with us. Sylvia took this picture of us as we crossed into the high desert of Northern Arizona. 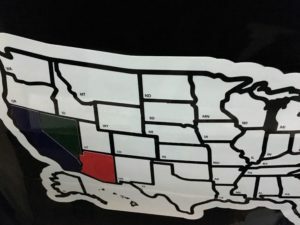 That of course meant another state on the map! It was a very interesting drive. 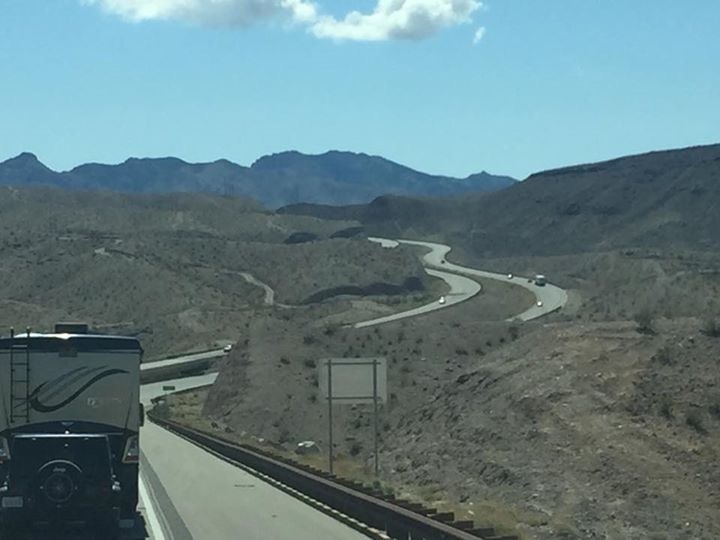 We crossed over the Hoover Dam bridge that we saw last week and drove through the amazing black rock canyon area. Then across the high desert of northern Arizona. Because of the storms over the past few days, the air was incredibly clear. Really a stunning landscape. Our destination is Williams Arizona, the last town that was bypassed by I40. It still has that very “route 66” charm in its old downtown. Route 66 is the main street of Williams. 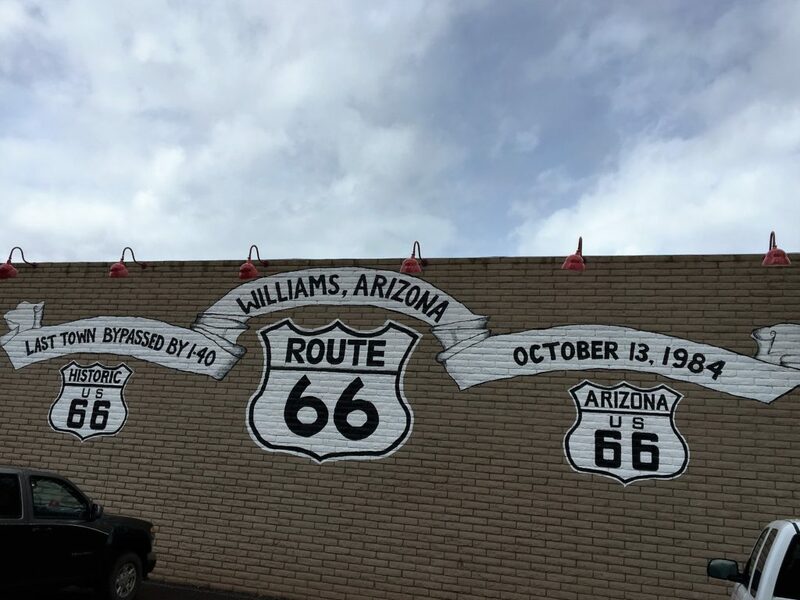 While the downtown of Williams is older – many buildings around the turn of the century – its the route 66 charm that is at the heart of the place. Its also fricken cold!! Williams is nearly at 7000 feet, and even though its the end of April, its still getting below freezing at night. Brrrrrrr. 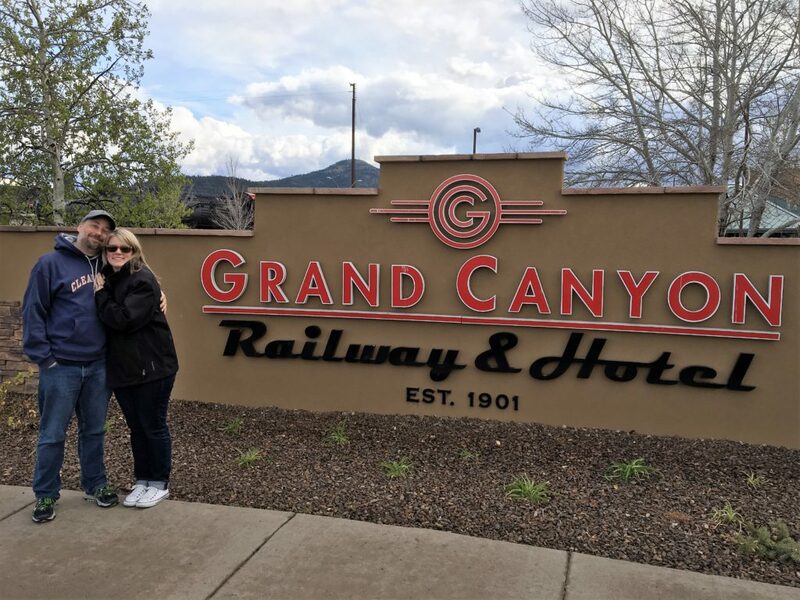 Tomorrow we take the railway from Williams to the Grand Canyon. That should be a very cool experience!! 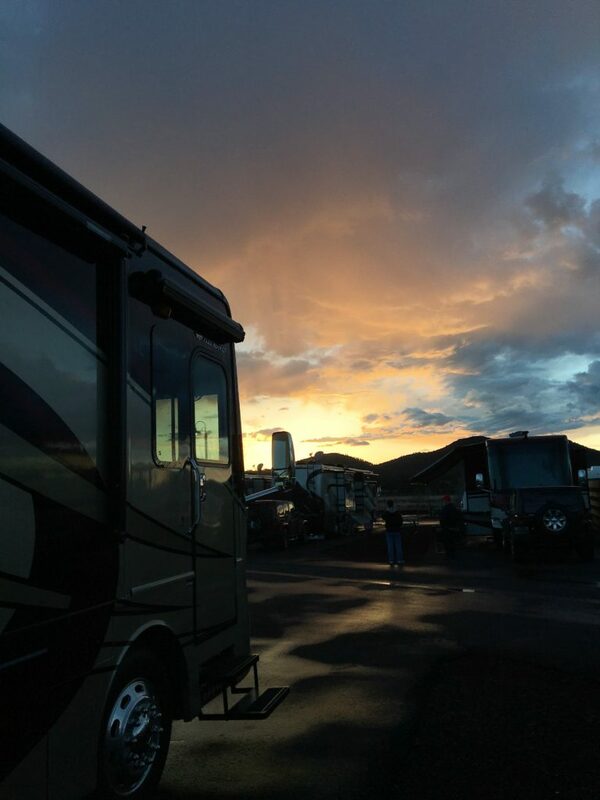 It is kind of stormy, but that makes for a beautiful sunset!